Welcome to Shreya Ex-tech Pvt. 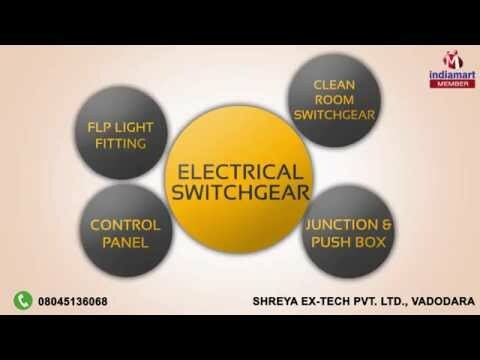 Ltd., established in the year 2006, we are the leading manufacturers, exporters and suppliers of this commendable and diverse range of Lighting & Switchgear. The range made available by us in the market, comprises the finest FLP Light Fitting, Electrical Switchgear and Flameproof Clean Room Light Fitting, which are highly acclaimed and asked for in the market. Manufacturing of this range is commenced, utilizing the finest raw materials and modern machines and per the standards of the industry. This ensures the products capacity, performance, strength, speed and service life. Further, the range, made available by us, is priced quite reasonably. We export our products Globally. Further, our highly ethical work practices, have helped us generate a huge client base.